Feeling SAD? It Could Be Seasonal Depression. As temperatures continue to drop, you might find your mood dropping with it. The colder months can be extremely stressful with finals around the corner, application deadlines approaching and more. However, is it possible that the change in weather could be contributing to a change in mood, as well? Seasonal depression is something that many of us have probably heard of, and have maybe even suffered from. But what is it? How can it be avoided? How can it be diagnosed? Southern Illinois University Edwardsville (SIUE) Counseling Services Director, Dr. Courtney Boddie, has some answers. How do I know if someone I know (a friend, roommate, etc.) is suffering from seasonal depression? Does the person I know experience SIGECAPS? If so, which? Do they bother the person, or are they simply present with little impact on their ability to function in life? For how long have you felt this way? Who (most often) suffers from seasonal depression? Can seasonal depression be avoided? If so, how? What are the best treatments for seasonal depression? When is the right time to visit a professional if you feel like you have depression? How do I know whether I have depression or if I'm just feeling sadness/loneliness/etc.? CB: “The best thing we can do as a society for health is to internalize the following phrase: An ounce of prevention is worth more than a pound of cure. What kind of resources do we have available on campus for mental health treatment? If you feel like you’re experiencing depression, or even if you’re unsure, it never hurts to visit a professional. At SIUE, we take mental health of our students very seriously. 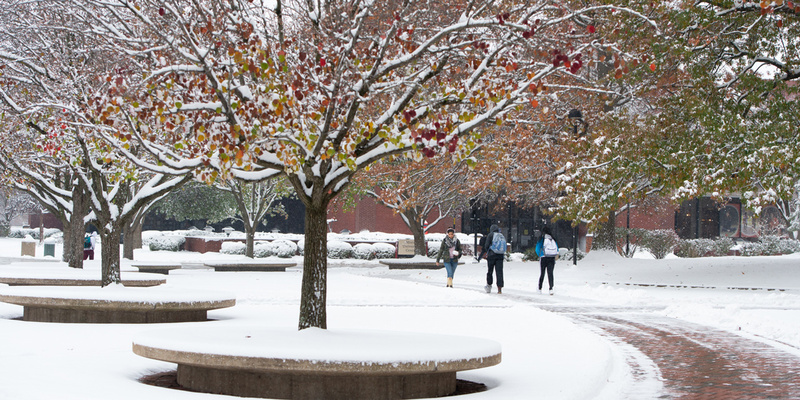 SIUE Counseling Services offers free care and numerous options for students in need.